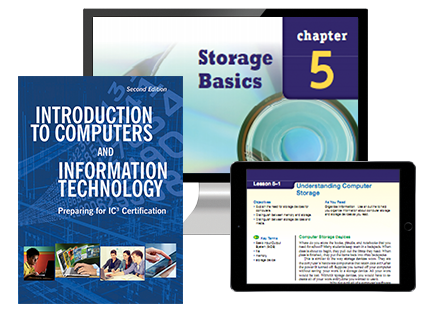 Introduction to Computers and Information Technology, Second Edition teaches essential computer technology concepts and skills. This text helps student build a concrete understanding of how computers work and how various types of computing devices and accessories are used in school, work, and at home. The content aligns with the IC3 GS5 and Spark objectives for students interested in achieving certification. Computing Fundamentals explores hardware and software basics, input and output devices, storage, and operating systems. It also provides an introduction to programming. 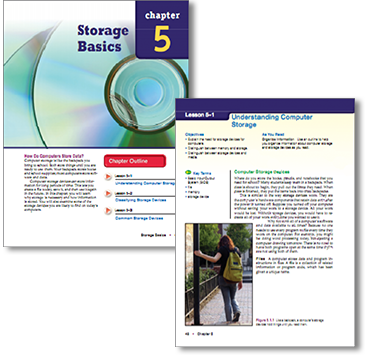 Students learn how computers work, how to identify and use peripherals and storage devices, and how to use operating systems and utility programs. Applications teaches introductory skills in word processing, spreadsheets, database, graphics programs, presentation programs, and multimedia. 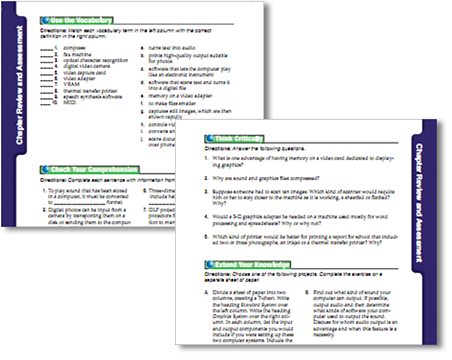 Students learn how to select the appropriate program for a task and how to use the key features of each program to create, edit, format, and print different types of files. Communications and Networks covers the latest in communication devices, including smart phones and tablets, as well as the network technology they run on. Students learn how to use e-mail, social networking, and other messaging systems, how to access the Internet, and how to locate information on the World Wide Web. This section also includes a unit on Online Safety, which covers topics such as privacy, ethics, cybercrime, online bullying, and how to protect data. 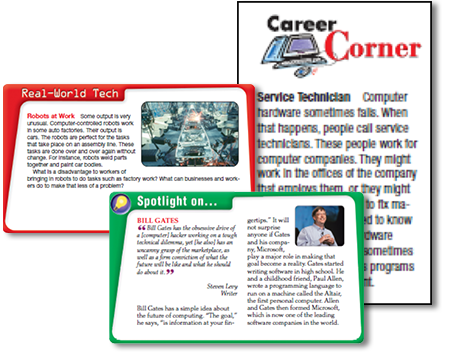 Complete chapters on 21st Century Skills and Career Skills, including critical thinking, problem-solving, job search strategies, and effective communication for school, home, and in the world of work. Keyboarding Essentials, a complete guide to keyboarding techniques including information on posture, avoiding stress and fatigue, and breaking bad habits. End-of-chapter activities and review material to reinforce important topics and allow students to demonstrate their knowledge of the material. Students will find helpful outlines and tools that will guide them through the learning process. Students explore how technology is redefining 21st century careers, manufacturing, and the new captains of industry. Vocabulary terms, reading comprehension questions, critical thinking checks, and extension projects strengthen student content mastery.